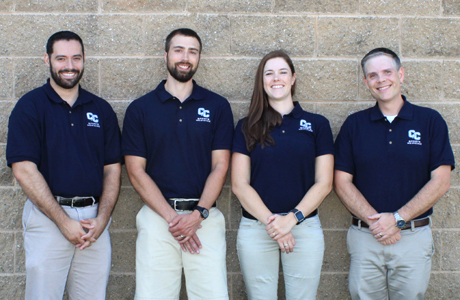 Connecticut College's Sports Medicine Team Consists of Certified Athletic Trainers, Team Physicians, and athletic training student aides. 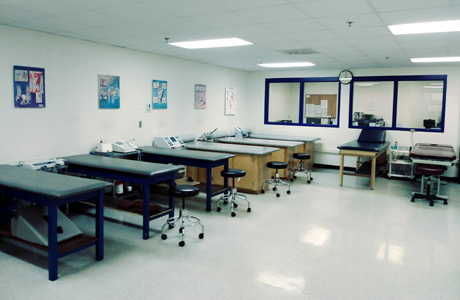 The Connecticut College Sports Medicine Facility offers numerous treatment and rehabilitation modalities to provide first class health care services to all student-athletes. Facility Hours, Service Policy, Clearance Procedures, Insurance Information and more. Visiting Certified Athletic Trainers may utilize any of our modalities, and we will be happy to assist teams traveling without an Athletic Trainer with their taping and wrapping needs. 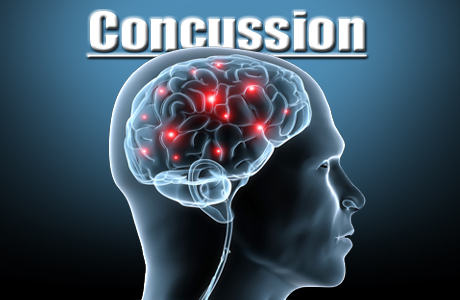 Athletic trainers are on the front lines in combating concussions, and are often the most experienced practitioner in regards to sports related head injuries. Connecticut College is committed to the development of a safe intercollegiate athletics program by protecting the health and well being of its student-athletes, as well as by providing a safe sport environment. The NCAA Sports Medicine Handbook developed by the NCAA Committee on Competitive Safeguards and Medical Aspects of Sports and the National Athletic Trainers Association’s Policy Statements are used as a guide in establishing recommendations and procedures for preventing and managing athletic related injuries at Connecticut College. Connecticut College's Sports Medicine Staff practices under the direction of team physicians, Dr. Cory Edgar, MD, PhD and Dr. Steven Carlow, MD. The evaluation and care of athletic injuries and illnesses is based on standing orders that have been established between the team physicians and the Connecticut College Sports Medicine Department. 1. Connecticut College Varsity Intercollegiate Student-Athletes. 2. Connecticut College students who are majoring or minoring in Dance. 3. 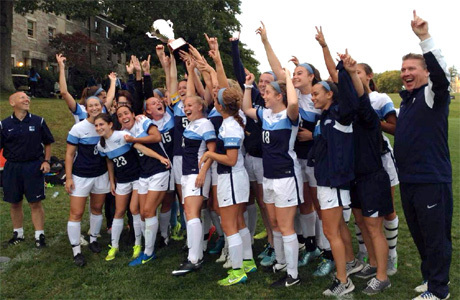 Visiting Intercollegiate teams scheduled to participate at Connecticut College.